News that the UK Government has been investigating a number of sites in Northern Ireland, including the Mourne Mountains and Slieve Gullion, as suitable areas to store quantities of radioactive waste has been met with strong opposition from communities on both sides of the border. The report, which was published by the Radioactive Waste Management division in November 2018 and brought to light by the Love Your Lough Facebook page earlier this month, identifies “granites and similar strong rocks around Newry” in which the UK Government say they “may be able to site a GDF (Geological Disposal Facility)” deep underground. Whilst a spokesperson for the Radioactive Waste Management division has said that they “would need to do more work” in order to “find out whether these rocks have suitable properties and thicknesses in the depth range of interest for a GDF” the proposals have been met with anger by people living in the region. An online petition set up by Progressive Politics NI which will be sent to the Northern Ireland Executive to demand that no radioactive waste will be stored in the Newry area has been signed by over 10,000 people. A statement on GOV.UK accompanying the report states: "There are no plans to site a GDF in Northern Ireland. This screening report is purely a technical exercise. Any future policy decision on geological disposal in Northern Ireland would be a matter for the Executive, and would be subject to community agreement and planning and environmental consents." 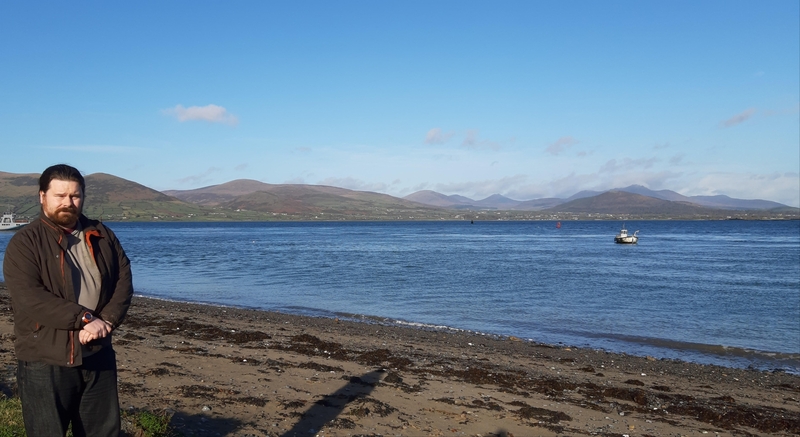 Local Green Party election candidate for Dundalk and Carlingford, Eoin Daly branded the proposal ‘outrageous’ and wrote to the UK Business and Energy Secretary Greg Clark to voice his concerns over recent UK Government moves on nuclear waste management that could affect north Louth. He said: “The proposal is as outrageous as it is unlikely to happen...but nonetheless it was I believe important to register my objection to Greg Clark and to be vigilant on the issue of nuclear waste storage. Daly, a Mechanical Engineer and Researcher in Water and Energy, has worked previously in the field of marine sources of renewable energy and is the Green Party Candidate for the Dundalk and Carlingford LEA. Louth Senator Ged Nash has also voiced concerns over the proposals and raised the matter in the senate last week. He told the Senate: “I was extremely concerned to learn from residents in North Louth this week that an agency operating on behalf of the UK government has identified sites close to the border with Louth as a potential dumping ground for nuclear waste. “This absolutely beggars belief. I am informed that the agency has shown a particular interest in areas of natural beauty such as the Ring of Gullion and an area known as Silent Valley in the Mourne Mountains. The Louth Senator continued: “My understanding of these matters is that legally the Irish government must be consulted on any issue to do with the development of nuclear sites that may impact on Ireland. Fianna Fáil TD for Louth, Declan Breathnach, also branded the proposals as ‘totally unacceptable to the communities on both sides of the border’. Deputy Breathnach explained: “Let me say in no uncertain terms, this will not be acceptable to me or to the people of Louth who regularly travel the half hour drive across the border to visit these magnificent sites. “The potential health ramifications let alone the consequences for the wider environment don’t bare thinking of,” he concluded.